Petzl carabiners are amongst the most popular with tree climbers for their high-quality manufacturing and great features. The Petzl Am'D and William Triact carabiners are two of our most popular climbing carabiners, and you'll frequently see them on the harnesses of professional climbers. Petzl has also begun to manufacture steel carabiners, and these 'biners are growing in popularity for tree rigging, rescue, and other high-strength carabiner applications. 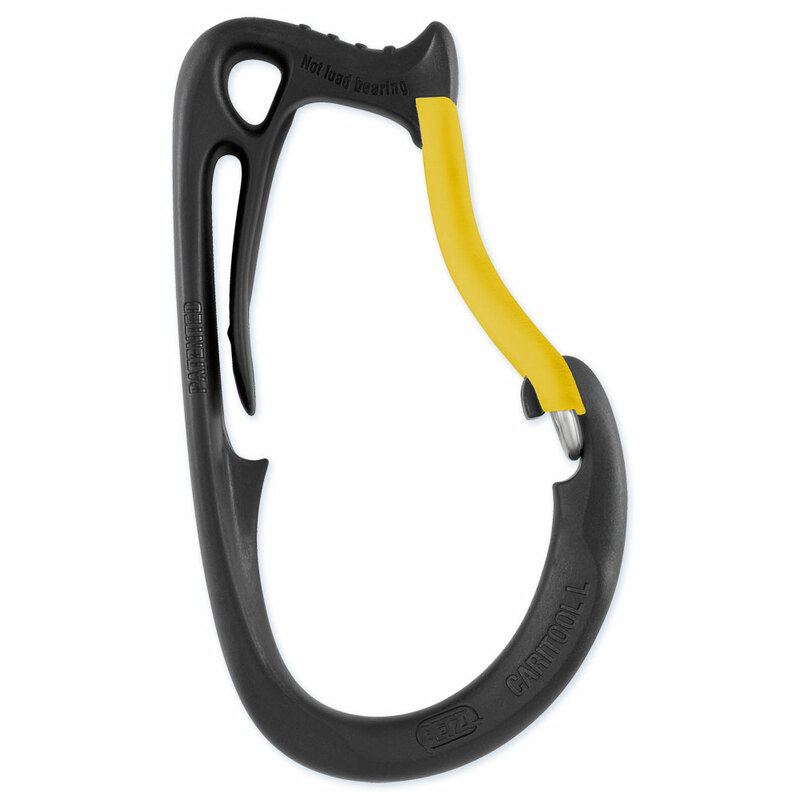 The popular Petzl aluminum D (Am'D) H-Frame Carabiner is now available from WesSpur with a screw lock gate. Screw lock gates are often preferred for non-life support applications, as they can be carried on the harness with the gate unlocked and then deployed quickly without the need to first unlock the gate. Red indicator warns when H-Frame Carabiner is in unlocked position. The William is a popular H-Frame Carabiner for its larger gate opening and offset shape, which makes it easier to attach more hardware with just one biner. Screw lock gate. Red indicator warns when H-Frame Carabiner is in unlocked position. High-strength, steel carabiner with screw-locking gate. Rated at 5,620 lb (25 kN). High-strength, steel carabiner with screw-locking gate. Rated at 8,542 lb (38 kN). High-strength, steel carabiner with screw-locking gate. Rated at 9,000 lb. (40 kN). This carabiner maintains 15 kN (3375 lb.) strength in all directions and has a 22 kN (4950 lb.) strength along it's main axis. Used to close any harness having two attachment points that must be joined with a connector. Designed to be loaded on its three axes. Key lock System (snag-free body/gate interface). Omni carabiner with Triact gate is also available. 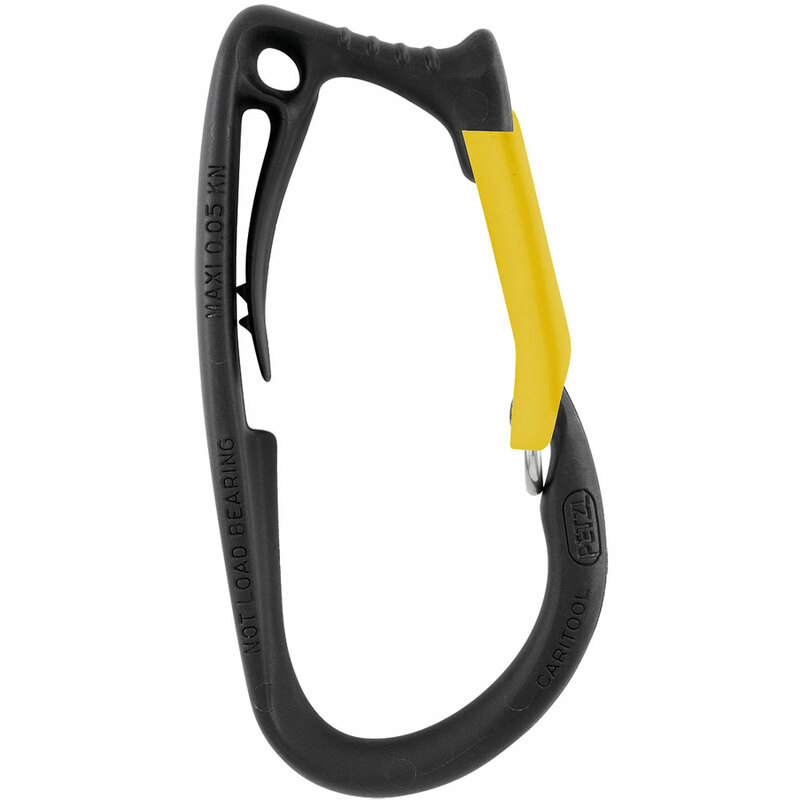 Popular, extremely lightweight carabiner from Petzl.. This twist-lock carabiner is designed for use on progression lanyards like the Progress Adjust and Progress Adjust I. Its ergonomic design and automatic locking system facilitate manipulations when passing intermediate anchors. The wide opening and the Keylock system allow the carabiner to be easily connected. This is not a double-locking carabiner and does not meet the ANSI Z133 standard for carabiners to be used in tree climbing.